The story doesn't have anything to do with The Void of Hell, which ended on a bit of a cliffhanger, and this one does the exact same thing. The setup, related in the form of song lyrics that have been gently massaged, pits the player as a hero who is venturing into a sorcerer's crypt in order to slay him. The sorcerer has made a bid for immortality that involves drinking the blood of a virgin so that he can rise up after he's been long forgotten and conquer the world. 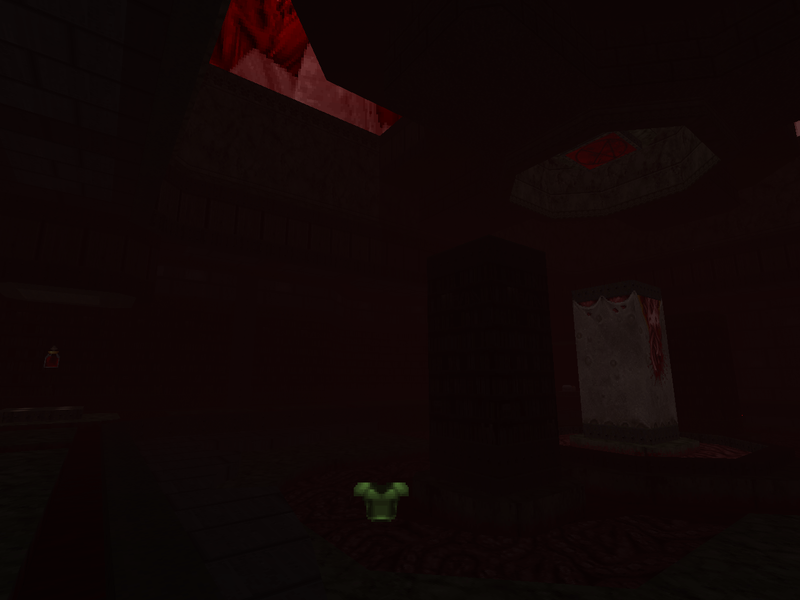 Naturally, that's something you can't abide by, so in you go into his misbegotten dungeon, steeped in marble, blood, and stone - "The Sanguinaryum" (MAP01). Spoiler alert - there is no MAP02. The sorcerer's reckoning will encompass a later adventure, I guess. 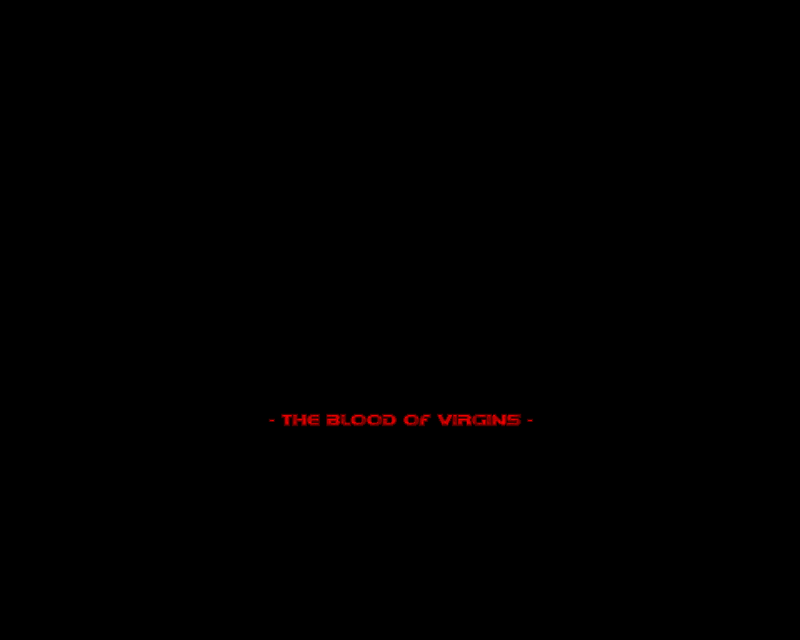 V_BLOOD has a palette change that leaves the colors with a washed-out feeling, sort of faded, which is what you'd expect from a thousand year-old crypt. A few flavor changes emphasize the "blood" theme. The health pickups are vials filled with blood, of course, and they float in an arcane fashion as you pick your way through the darkness. zrrion does continue to spawn in monsters, but they have a particular flair, seeming to assemble from the blood that inundates the level with a grotesque schlick before doing battle. 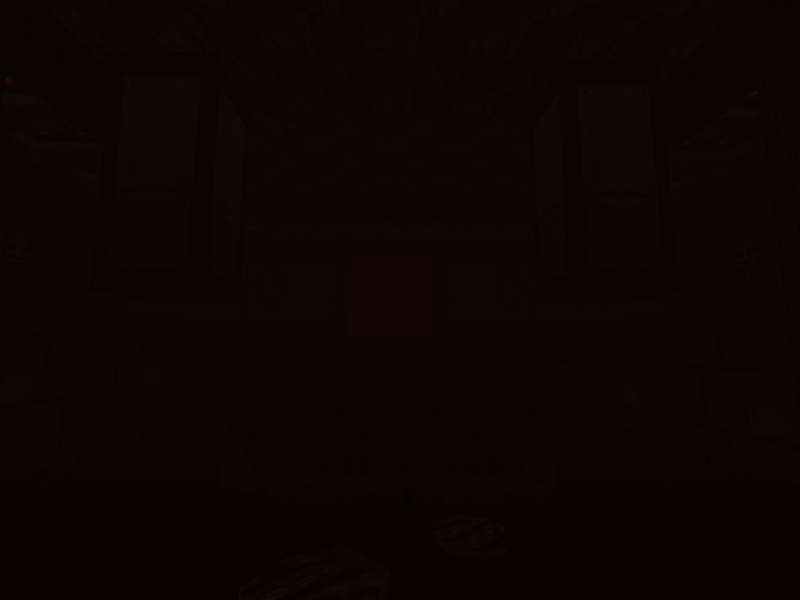 The soundtrack is the same song used in HVOID's MAP02, which kind of robs it of some of its character, but I'm guessing that zrrion just loves it that much. I don't recognize the tune itself, but I was never much of a metalhead. As far as the action, Blood tends toward the claustrophobic with an emphasis on hitscanners. If you get cut down to size early on, you'll find yourself working under a dearth of health until you do something like unlock the berserk secret. zrrion heightens the sense of congestion and blood by footing you a chainsaw early on and throwing a bunch of close encounters with demons at you. The action sort of builds, culminating in a fairly decent finale against some Barons and imps in a dark fusion of organics, marble, and library, but the level is as a whole fairly low key, especially when compared to HVOID's cavalcade of miniboss encounters. It's also swarming with secrets, not that you'll need any of them. The cell ammo placement in the finale sort of hints at the plasma rifle, but the switch that reveals it is about one secret deep. I hardly see the point in the rocket launcher, since the only other ammo for it comes from three secret backpacks. It's really more of a combat shotgun level anyway, given how the constriction lends itself to skirmish gameplay and the relative lack of higher-tier monsters. zrrion describes the level as fairly non-linear, but that's not at all true. You only ever have one direction to go, though that might involve backtracking through the middle portion of the level. What it does have is great connectivity in the central area with all sorts of view ports and things to sort of dial back from the immaculate corridors that characterize zrrion's earliest work. It's a pretty cool development. I guess I was expecting Hell Void 2.0. 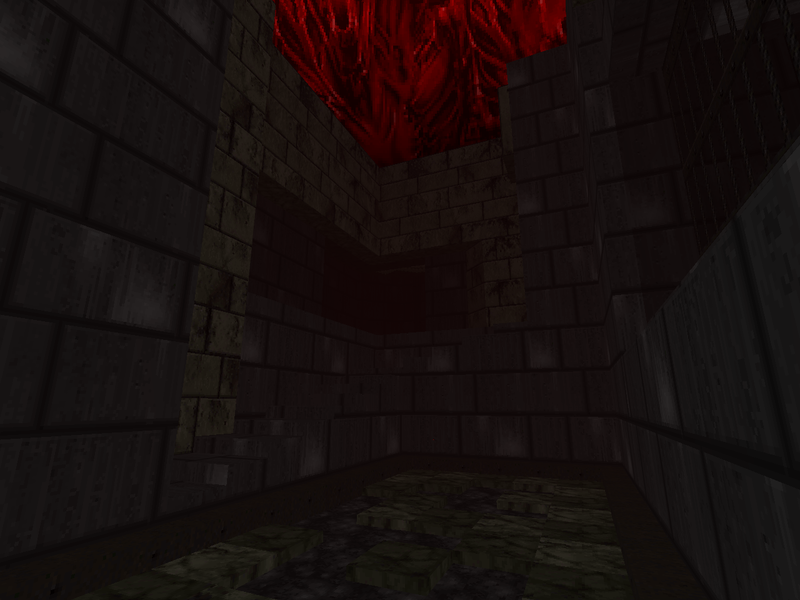 Instead, I got a tight, sort of of classic Doom II map with some neat character and atmosphere. If that's the sort of thing that excites you, then you might want to give The Blood of Virgins a shot. 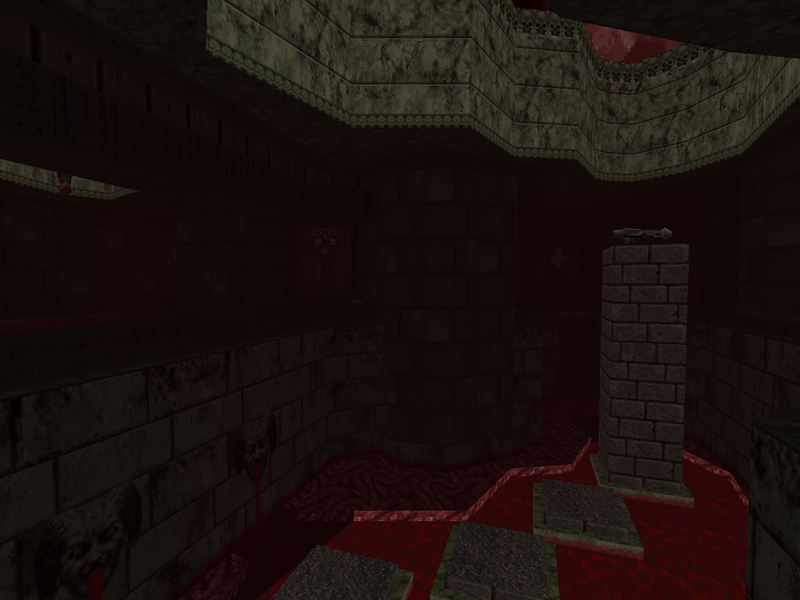 We don't get too many GZDoom maps nowadays, since the community has sort of reigned itself back to Boom, limit-removing, and vanilla. Hopefully zrrion is still chipping away at something. I actually liked this one better than Moldy Old Void. More linear and a bit less ambitious for sure, but the texture theme felt more coherent and immersive. I like the fog quite a bit! Thanks for your work on this blog, by the way. I've been slowly dipping into WADs since first playing Doom and Doom II in 2014/2015 and you've been a real help in finding the good stuff. 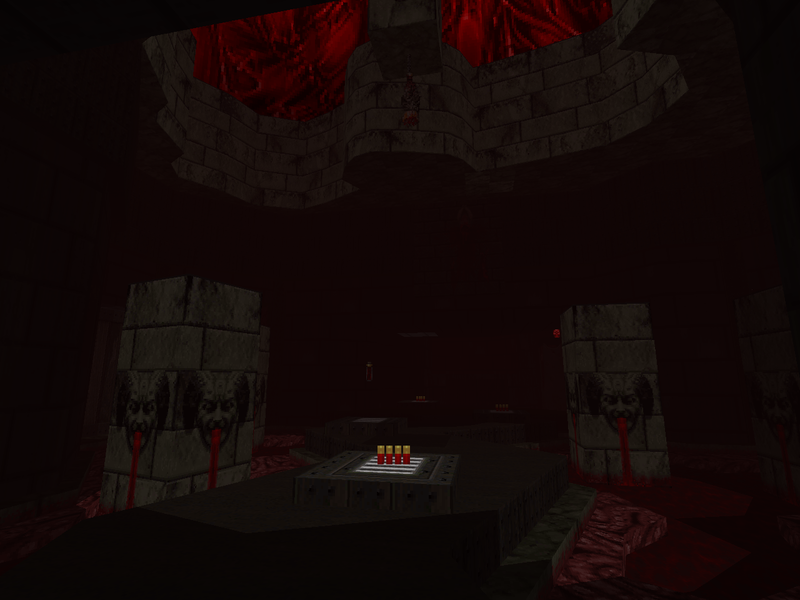 I've been playing Quake for a lot longer, do you play custom Quake maps at all? Check out Quaddicted!